The Archaeological Museum was until recently accommodated in the Kollengode Palace building. 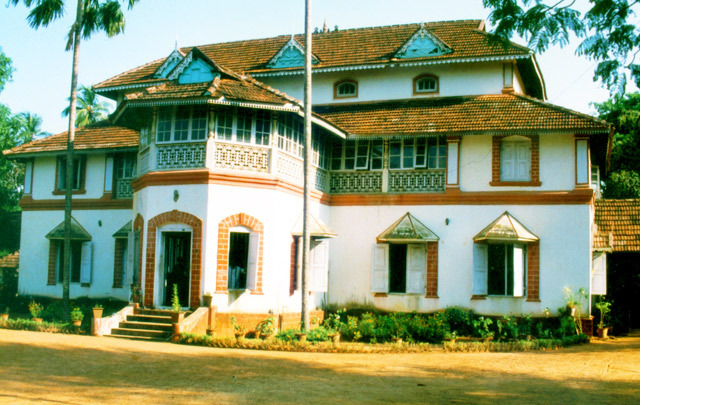 Now it has been shifted to the Shakthan Thampuran Palace, a landmark in the annals of the Perumpadappu Swaroopam, the former ruling dynasty of Kochi. The majestic building houses a gallery of murals from all over Kerala and preserves a rare treasure of Veerakallu, temple models, olagrandhangal (manuscripts on dry palm leaves), megaliths etc. Veerakallu or herostones are stone engravings and sculptures of figures and weapons belonging to the heroes of days gone by. Most of these were recovered from the forests of Wayanad and Thrissur. The megalith collection includes earthen pots, urns etc. The temple models cast in plaster of Paris are excellent representations of the ancient temples in the State. Visiting hours: 1000 – 1700 hrs on all days except Mondays and national holidays.